Multiple trainers, each with rich experience of SOC subdomain. All working in top-3 product companies. Types of processors – Cortex-M series, A series. ARM C, ASM compiler, linker. Exceptions, Events – Types of Exceptions (Edge, Level), Source of Exceptions, How to handle. Debug system – Basics of ARM debug sub system. How to set reset location to start booting. Loading C code into memories – Front door, back door. Morethan 60% of verificaiton work in VLSI is based on SOC & SUbsystem verificaiton. 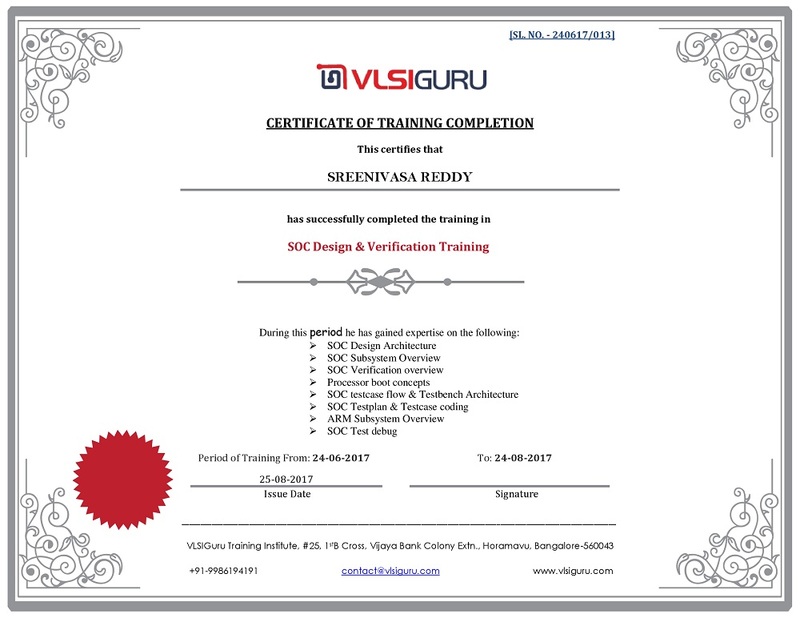 It becomces essential for every verificaiton engineer to gain expertise on SoC & Subsystem verificaiton concepts. The course is targeted towards teaching complete SOC flow, starting from Architecture, usecases, testbench environemtn setup, testcase coding and testcase debug techniques. SoC architecture docs, protocol specification docs, etc. Verification engineers who have only exposure to Module level verificaiton, would like to widen verification exposure.